The climate in Mysore is salubrious throughout the year. 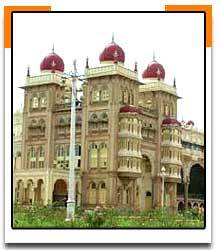 The cultural heart of Karnataka, Mysore is situated about 140 km from the capital city of Bangalore. A city of natural beauty, royal aura and quaint charm it never fails to charm its visitors. The splendorous places, the fragrance of sandalwood, incense sticks and Mysore jasmine provide you great relief to your senses and soul. 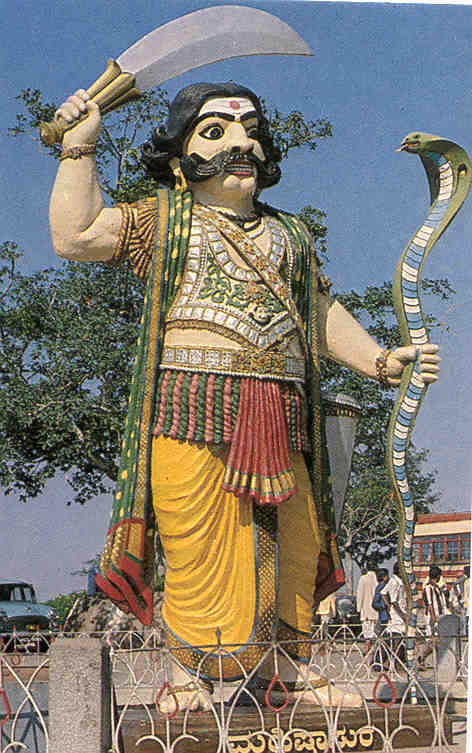 Mysore gets its name from demon Mahisasura who was killed by Goddess Chamundeshwari on whose name a temple exists on the top of Chamundi Hills. 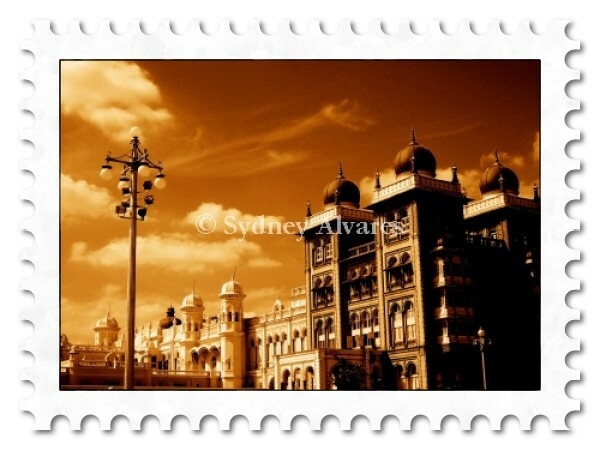 Mysore is famous for its palaces, gardens and planned markets. The beautiful Mysore Palace is a masterpiece meticulously planned and designed by the English architect Henry Irwin and is the home of the famous Wodeyars rulers. The palace provides you an enduring and spectacular view when illuminated with 97,000 electric bulbs shimmering against an inky black night. A priceless national treasure and the pride of a kingdom, the Mysore Palace is a must see for tourists visiting Mysore. The Jaganmohan Palace is also worth visiting. It houses the Sri Jayachamarajendra Art Gallery, which displays famous painting, sculptures and musical instruments. Other important tourists attractions in Mysore are Sri Jayachamarajendra Zoo, Chamundi Hills, Planet X, St. Philomena's Cathedral, Rail Museum, Folklore Museum, GRS Fantasy Park etc. The world famous Vrindavan Gardens is located on the KRS Dam, about 15 km from Mysore. The musical fountains here have fascinated visitors including people from film industries. A visit to the gardens will surely be an exhilarating experience for you. The festivals of Mysore provide the place an added attraction. You can enjoy Mysore Dussehra, very popular event in the region, celebrating the victory of good over evil. Airport: The nearest airport is Bangalore, about 139 km. Rail: Mysore has a railway station and is well connected by rail with major cities like Bangalore, Chennai, Hyderabad and many more. Road: Mysore is connected by road to all the important cities of Karnataka, Tamil Nadu and Kerala. The famous hotels and resorts here are The Viceroy (facing the Mysore Palace), Mayura Hosyala, King Kourt Hotel, Lalitha Mahal Palace Hotel, Quality Inn Southern Star, Hotel Dasaprakash Paradise, Hotel Paradise, The Village Resort and Indus Valley Ayurvedic Centre. 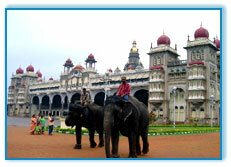 South India Tours Hub offers tours to Mysore, The World's Heritage City. For more information or to book a Mysore Tour, please enter your query in the form below.